Restaurant style dal fry recipe with step by step pictures. 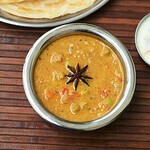 Dal tadka and Dal fry are two different and popular side dish for rice and roti served in North India. 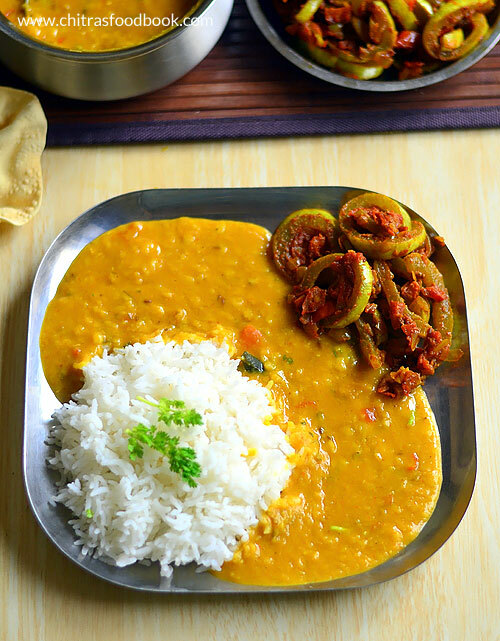 In dal fry, cooked toor dal (Arhar dal in Hindi) is added to the sauteed onion, tomato and spices mixture whereas dal tadka is prepared by pressure cooking toor dal along with onion, tomato. Then it is tempered with spice powders separately. 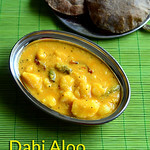 Dal fry can be prepared with moong dal as well. 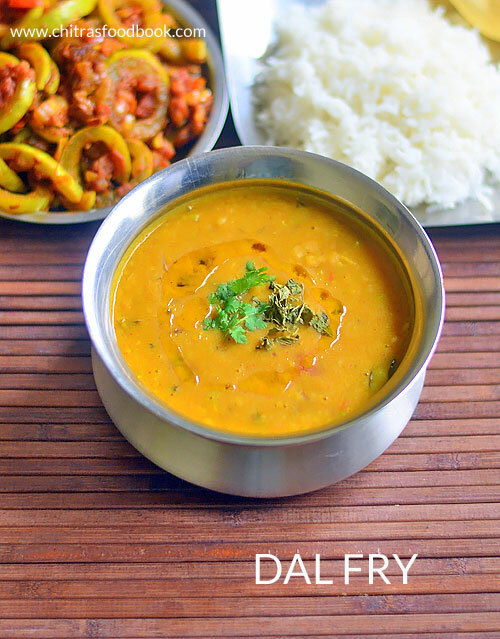 After I tried North Indian dal tadka successfully, I made this easy restaurant style dal fry recipe at home just to find the difference between two. Yes, there are some variations in the method of making, ingredients and taste. Recently when I went to mini Punjabi dhaba, I had this dal fry as a side dish for jeera rice. But I din’t like its taste. I felt it was bland. But this restaurant style dal fry recipe I tried after watching few YouTube videos came out very well with great taste ! I loved it very much. Even though I prepared it (without charcoal) without doing dhungar method, it was so good and flavorful. I served it with plain rice adding ghee. 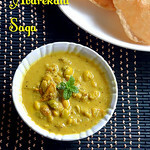 I also prepared Padawal sabzi / Snake gourd sabzi as side dish for this dal fry. It was a yummy combo which I liked it very much. I will post the sabzi recipe tomorrow. 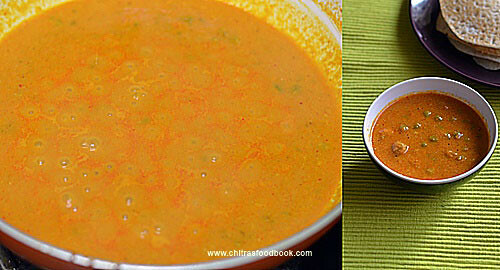 Here you go, dal fry in restaurant style with step by step pictures. 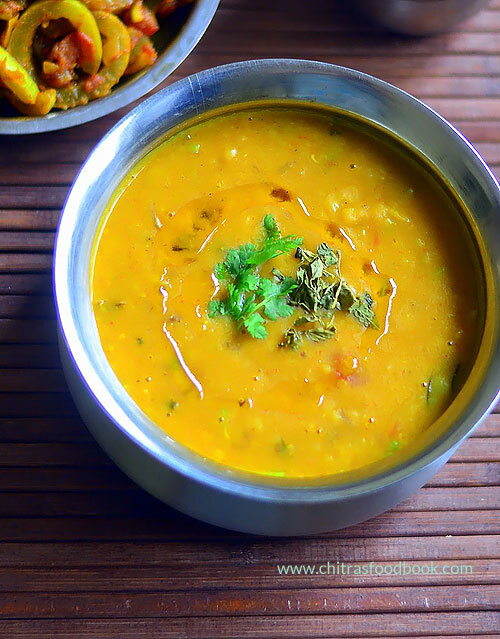 North Indian Dal Fry Recipe In Restaurant Style - Toor dal fry for rice. Wash and pressure cook toor dal adding turmeric powder, water and drops of cooking oil. Heat ghee in a kadai. Fry all the items given under “To saute”. Add the cooked toor dal and boil for few minutes. 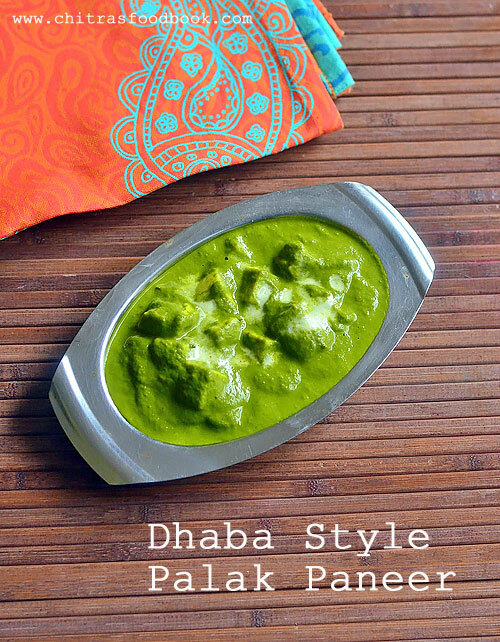 Garnish with coriander leaves and ghee. 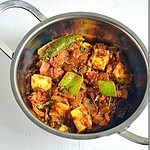 Serve with jeera rice, roti ! Wash and pressure cook toor dal adding turmeric powder, few drops of cooking oil and 2.5 cups of water. Cook in low flame for one to two whistles. Open the cooker after the steam is released. Mash the dal well. Set aside. In a kadai, heat ghee / oil . Splutter cumin seeds. Saute big onion, chopped green chilli, curry leaves, garlic and ginger till transparent. Add finely chopped tomato and saute till mushy. Add red chilli powder, garam masala powder, sugar and required salt. Saute for a minute. Add the cooked toor dal. Mix well. Simmer the dal for 5 minutes. Crush kasoori methi and add to the dal at the end. Switch off the the flame and garnish with finely chopped coriander leaves. 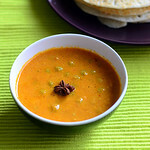 You can also garnish the dal with a tbsp of fresh cream if you like. 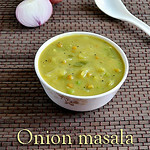 For variations, you can use moong dal or a mixture of 5 dals. Try this easy, yummy restaurant style dal fry recipe for rice, roti ! Enjoy with any simple side dish. Side dish for poori recipes / Indian vegetarian side dish for puri.This post is a collection of 20 South Indian and North Indian Side dish recipes for poori with potato, without potato, tomato based side dish recipes and few more with Besan, peas, chana, mixed vegetables, paneer gravies and curry. Most of them are easy to make as its done in pressure cooker and many gravies can be prepared without any grinding job.So bachelors can also try them. I have also shared some hotel style/restaurant style potato curry recipes too. Poori / Puri is one of the most popular Indian breakfast recipes. It is loved by all irrespective of the age. 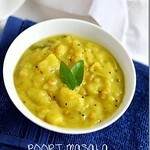 The most common side dish for poori is potato masala. Kids love to have it with sugar, ketchup, jam, potato and paneer gravy. 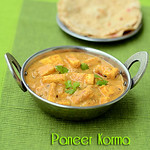 Apart from potato curry, many other gravies can also be prepared. 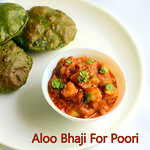 Recently I made a list of 10 different types of poori recipes from my website. So I thought of making this list of side dish recipes that my readers would find it helpful. 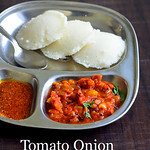 In this list, you can find Tamil nadu hotel style potato masala, Onion masala without potato, Chana kurma, Potato kurma, Veg kurma, Green Peas kurma, Karnataka style Veg sagu and avarekalu sagu, North Indian restaurant style potato bhaji/ aloo subzi, Chole masala, onion tomato sabzi, dahi aloo, easy chana masala using pressure cooker, Bombay chutney, Paneer butter masala, Paneer korma, Kadai paneer and aamras recipes. 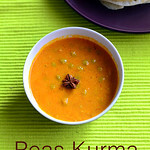 You can also find video recipes for some of the kurma recipes. I am yet to try Andhra and Kerala style potato curry recipes. I will update this list as soon as I post them. 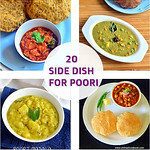 Ok, now lets see 20 different types of side dish for poori with links. Please click on the image or the title to view the particular recipe. Do check out my 10 types of poori recipes ! 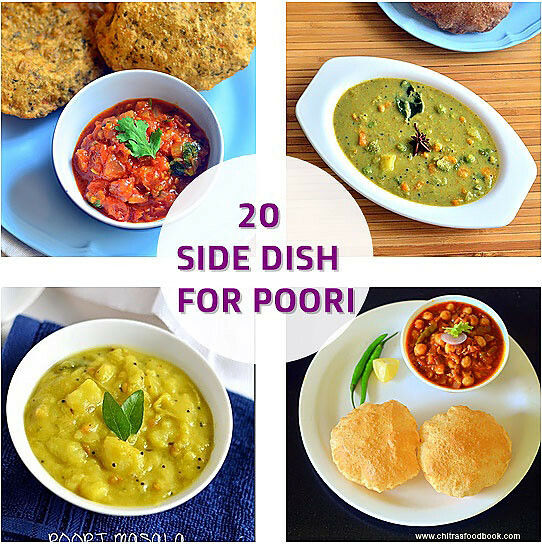 Side dish for Poori / Puri - North Indian & South Indian Side Dish Recipes ! 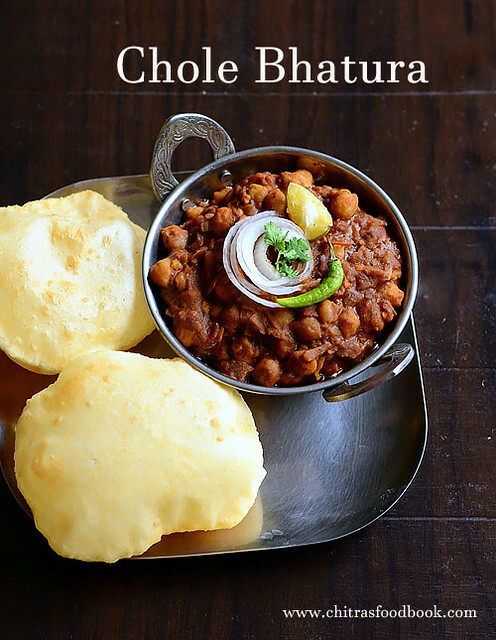 Chole Recipe/ Chole ki sabji also known as Black chana masala is the perfect side dish for Bhature/ bhatura and puri. 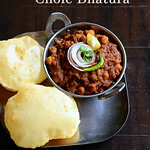 Chole bhatura is the one of the popular breakfast & lunch combo in North India. Its originated from Punjab. Authentic Punjabi chole recipe calls for using fresh Chole masala powder. 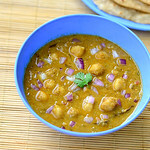 Today I have shared an easy chole recipe I got from a cookbook by Nita Mehta. In this recipe, I have used store bought chana masala powder. It came out really well and tasty. We enjoyed it with bhature for our weekend lunch. To make black colored chole, we need to add tea bags or dried amla powder while cooking kabuli chana. Also we have to use Anardhana powder ( Pomegranate seeds powder) , dhania powder, chole masala powder and roasted cumin powder in the masala. I was able to achieve its color to some extent as I used less tea powder. This is one of the easy chole recipe as it has no grinding works. 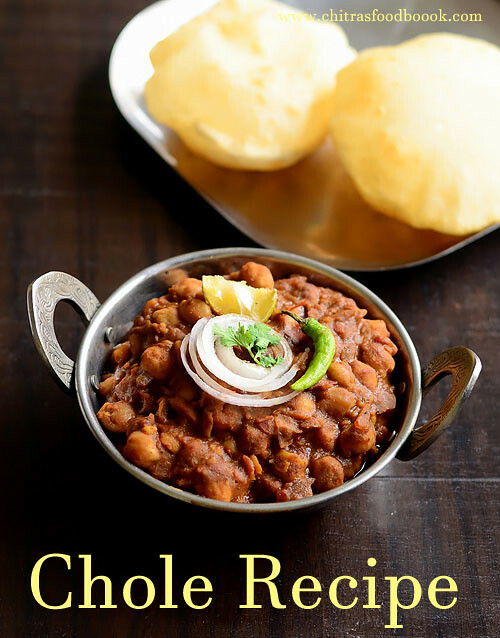 If you are looking for chole recipe with homemade chole masala powder, please check my Punjabi lunch menu post in which I had shared an authentic chole recipe. Soon I will try to make a separate post. 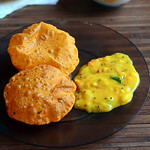 I will share the bhatura recipe in this week. 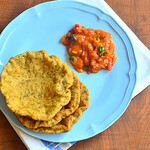 Now lets see how to make Chole recipe for Bhatura with step by step pictures and video ! 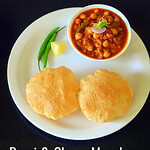 Chole recipe - How to make chole for bhatura and puri. Wash and soak Chana overnight or 10 hours in required water. Pressure cook Chana adding tea bags, whole spices and baking soda. Cook for 2 whistles in low flame. Remove the tea bag after its cooked. Heat oil in a kadai. Saute onion adding anardhana till brown. Add tomato,chilli & ginger. Saute till mushy. Add spice powders, cook till oil separates. Lastly add cooked chana with water, simmer gravy for 10 minutes. 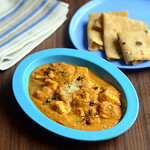 Serve with bhatura ! Wash and soak kabuli chana (white chana) for 10 hours or overnight. Chana becomes more than doubled in quantity after its soaked. I got around 2.5 cups. Drain the soaked water. In a pressure cooker base, take soaked chana, baking soda, 2 tea bags or 2 tsp tea powder tied in a thin cotton cloth, cinnamon, cloves and cardamom. Add 2.5 to 3 cups of water. Pressure cook in very low flame for 2 to 3 whistles. Chana cooks soft and becomes black in color. Remove and squeeze the tea bag slightly. Discard it. Keep the cooker aside. Heat oil in a kadai. Saute onions till transparent. Add anardhana powder and saute till onions turn brown in color without burning. Then add red chilli powder, dhania powder, garam masala powder, sugar and cumin powder. Saute till onion separates from the gravy. It takes 5 to 7 minutes. Add the cooked chana along with black water and whole spices added in the cooker. Mix well and add chana masala powder/chole masala powder. Mix well and check for taste. Add more salt & spice powders if needed. Boil the gravy for 10 minutes in medium flame till it comes to desired consistency. I made it thick. You can make it slightly watery if you like. Switch off the flame and serve hot with bhatura or puri. Addition of tea bags is essential to get black colored chana after cooking. So do not skip it. Adding Anardhana powder is for flavor and to get dark colored chole masala. You can also use store bought chole masala powder instead of chana masala powder. 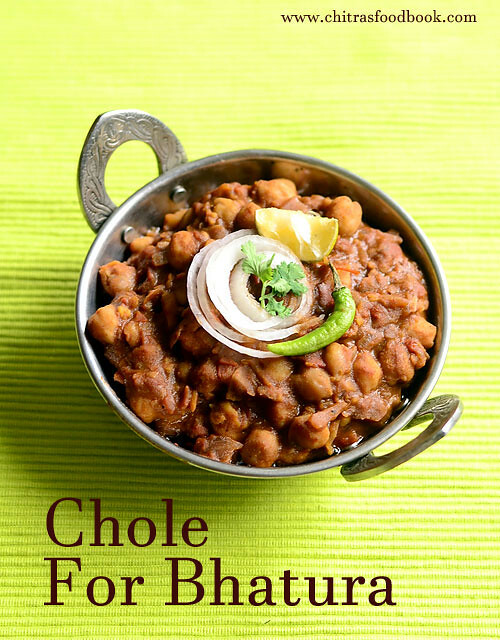 Try this easy, yummy Chole masala recipe at home. Enjoy with bhatura ! 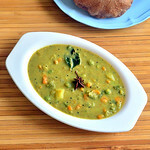 Peas kurma recipe / Green peas kurma (Pachai Pattani kurma in Tamil) for chapathi, poori, idli and dosa. 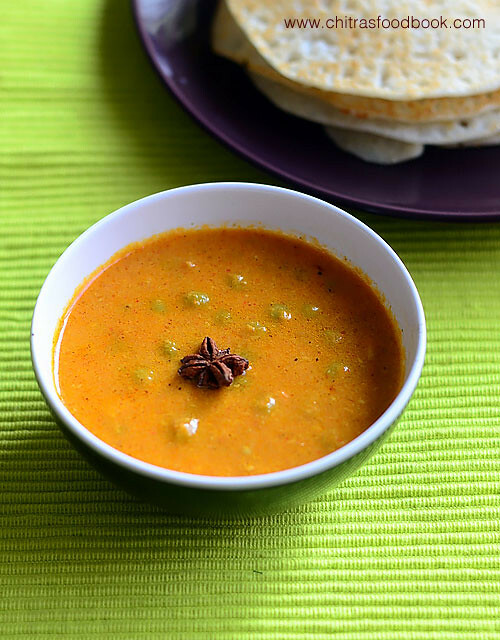 I love to try varieties of South Indian kurma recipes at home. 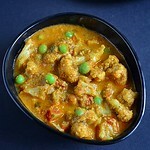 Recently I prepared this green peas kurma as a side dish for chapathi. I adapted this recipe from Jeyashri’s kitchen and made few changes as per my taste. It came out really well. I used dry peas in this recipe. You can also make this yummy peas gravy with fresh,frozen peas. We relished it with chapathi and had the same kurma with idli,dosa the next day. Myself & Raksha liked this combination very much. Basically I love to have kurma type of side dish for idli & dosa. My mom makes varieties of kuruma kulambu for idli,dosa. This pattani kurma is one of its kind. I am happy that I got an easy, yummy green peas kurma that goes well not only for chapathi, poori but also for idli,dosa. I hope this kurma tastes well with mild pulao and rice varieties too. For variations, you can also add boiled potato along with peas. Do try this delicious Pattani kurma for chapathi and share your feedback with me. Ok, lets see how to make peas kurma with step by step pictures. 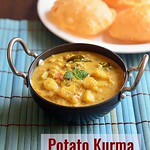 Check out my potato kurma for poori and Saravana bhavan style veg kurma recipes too ! 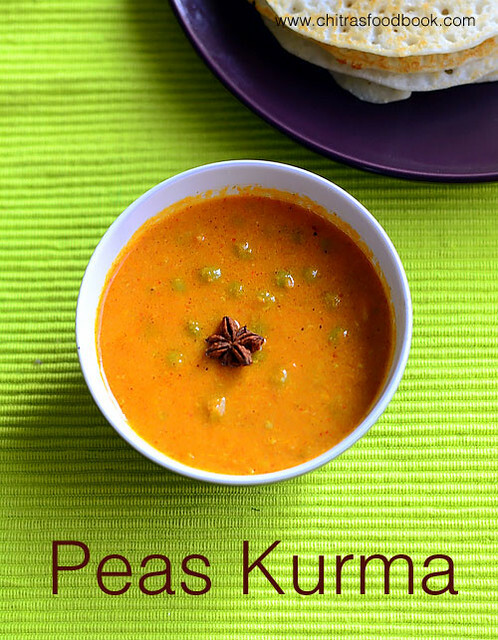 Peas kurma recipe - A delicious South Indian gravy for chapathi, poori, idli and dosa ! Wash and soak dry peas overnight or 8 hours. Pressure cook in low flame for 2 whistles. Saute onion, tomato, g&g paste and spice powders.Grind to paste adding coconut. Saute this ground paste in oil and add the cooked peas. Boil till oil floats on top. Serve with poori, chapathi, idli & dosa. Wash and soak dry peas in enough water overnight or for 8 hours. Pressure cook in low flame for 2 whistles adding 1 cup of water and salt. Alternately you can use fresh green peas or frozen peas. No need to pressure cook if using fresh peas/ Pachai pattani. Heat cooking oil and saute onion, fennel seeds, tomato, gg paste, turmeric powder, red chilli powder, Dhania powder and garam masala powder. Lastly add coconut, cashew nuts and saute for a minute.Grind to a smooth paste adding required water. Heat oil in a kadai and when it gets heated , add the ground paste. Add salt, sugar and saute till thick. If using fresh peas or frozen peas, add at this stage and boil till it cooks well. Add cooked peas, 1 cup of water and boil for 5 minutes till nice aroma arises. Adjust the consistency of the gravy by adding more water if needed. This gravy thickens quickly when it cools down.So add more water, check for salt and serve with poori, chapathi, idli and dosa. For variations, you can skip garam masala powder and try it. But I would recommend to use it. You can also add boiled potato cubes if you have less peas in hand. 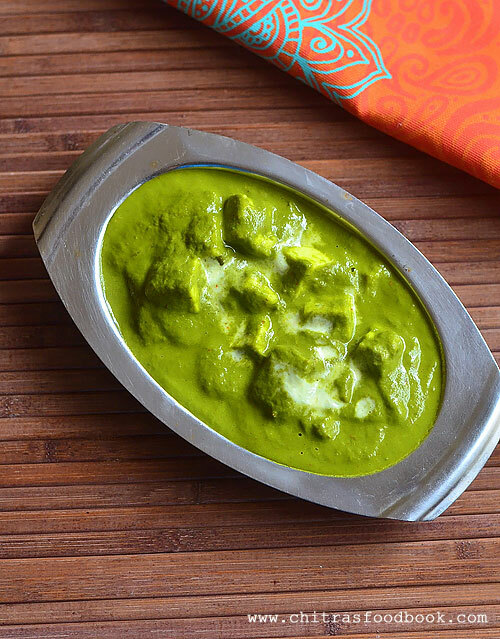 You can grind the masala ingredients without sauting in oil but it gives a different flavor and taste to this kurma. Adjust the consistency of this kurma as you like.I like mine to be semi solid in consistency as you see in the picture below. 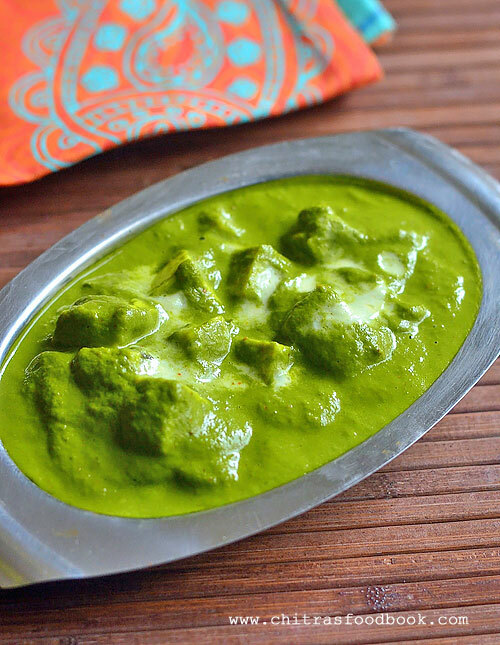 If using fresh peas or frozen peas, you can add it along with ground paste. No need of pre cooking. 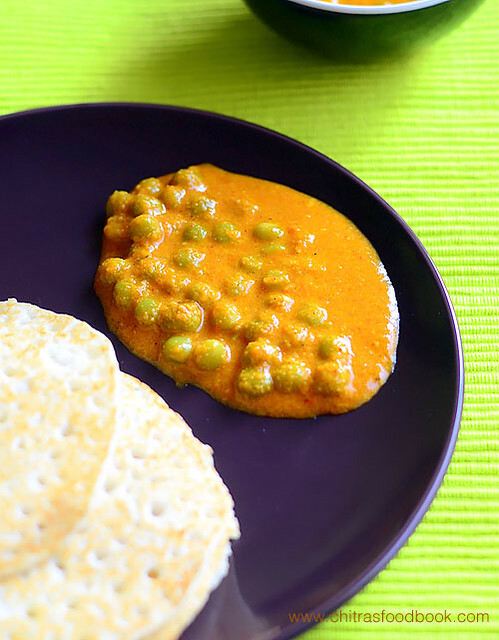 Try this easy, yummy Peas kurma and enjoy with poori,chapathi, idli or dosa !